The summer is officially over, kids are back at school and everyone is getting back to routine. As much as I love our Canadian summers, I also love returning to my regular routine during the year. In truth, our body also thrives on a health routine. Whether it is waking up and going to sleep at the same time, exercising regularly, planning out meals or practicing a regular stress management technique (i.e. yoga or meditation) – the discipline of a regular health practice helps to create more balance in your life. To help you find a little more health and balance in your days, this edition of the Dr. Joey newsletter is filled with some fantastic products (love the cilantro paste! ), articles, meal plans, books and natural stress management techniques. Are you looking to reduce your stress levels naturally? If so, click here to watch Dr. Joey talk about lowering cortisol levels on Cityline (August, 2013). Did you hear the news? The latest research shows timing is everything for weight loss! Check it out on my latest Cityline blog! Did you gain a little weight over the summer? Are your cravings for sweets back and throwing you off your health routine? If so, satisfy your cravings for sweetness and avoid nighttime eating naturally with ! With less than 20 calories per chew and 4 grams of pre-biotic inulin fiber... you can't go wrong! Pop 2 at night or at 3pm and you are good to go! Our customers have told us that they are now freezing their chews so they last even longer in their mouth. Remember, order 2 or more bags, and delivery is on us! GoGreen Lunch Boxes – When packing your child's lunch this year – go green! GoGreen Lunch Boxes offer a 'turn-n-lock' system to ensure your child's lunch stays fresh throughout the day. The phthalate-free, polyester bags are both stylish and safe – making this product a must-have this school season! For tips and tricks on packing your children healthy lunches along with a sample menu, click here. Grainstorm Heritage Baking Mixes – Grainstorm Heritage mixes are making baked goods good again! Unlike most modern baking, when you are baking with Grainstorm, you are using baking mixes that are fresh and nutritious – rather then filled with glutinous industrial fillers. In addition to being healthier, these fresh ground grains also taste so amazing you can use 50-70% less sugar in your baking. Garden Gourmet Cilantro Paste– Gourmet Garden Cilantro is a great way to have fresh cilantro flavor on hand whenever you need it. No chopping, no waste and long-lasting in the fridge. Almond Breeze Single Serve – The tasty alternative to dairy and soymilk found in Almond Breeze products can now be bought in a convenient 11oz single serve container – making it a great product to take on-the-go or pack in a lunch. This lactose-free and calcium rich drink is half the calories of 2% milk and is filled with nutrients such as Vitamin E, fiber and iron. As an added bonus – this product does not need to be refrigerated until it's open – making it the ideal drink for your lunch! Cherry tomatoes are in season and are the perfect superfood to indulge in! Pop in your salad, omelet or even as a snack - cherry tomatoes are the perfect portable option. The red color of the tomato is derived from the powerful antioxidant called lycopene. 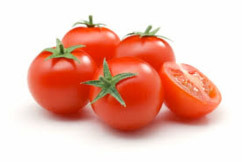 Research has shown lycopene to help protect against cellular damage, heart disease and cancer. A cooking tip –lycopene is absorbed in the presence of fat so... add a little olive oil to your tomato sauce! Slowly add the olive oil, grinding until a smooth sauce forms. Place the tomatoes in a large mixing bowl with enough of the pesto to coat. Season the salad to taste with salt and pepper and toss once more before serving. Spoon the salad into a large serving bowl and garnish with the basil leaves and serve. Drain tuna and leave to the side. In a separate bowl, stir together the mayo, Dijon, lemon juice, and salt. Cut lettuce apart and pick out 8 large leaves. Wash lettuce leaves and dry with paper towels. Combine the celery, capers, and green onions in a separate bowl. Stir the dressing in with the tuna then mix in the celery, capers, and green onions. Rinse and dry the sweet potatoes and slice them to desired thickness (or thinness). Toss your slices in a bit of olive oil and a sprinkle of salt. Lay out in a single layer on baking sheets and bake for 1.5 to 2 hours, flipping at least once or twice to ensure even cooking. You may also need to rotate your pans around depending on your oven. Be careful not to burn – they tend to go from light brown to dark brown rather quickly so check often. Remove once crisp and slightly golden brown. They shouldn't be too dark. Serve immediately as they are best when fresh. Will keep for a day or two after cooking. Heat oil in a pan over medium-high heat. Add onion to pan and sauté until softened. Add oregano and garlic and sauté about 1 minute. Stir in squash, zucchini, and carrot and sauté for about 5 minutes or until vegetables are tender. Remove from heat. Place 3 cups tomato and 1 can broth in a blender; process until smooth. Add tomato mixture to pan; return pan to heat. Stir in remaining 1 cup tomato and remaining 2 cans broth; bring mixture to a boil. Reduce heat, and simmer 20 minutes. BOOK OF THE MONTH: Cooked by Michael Pollen. Michael Pollen has done it again – this time bringing the basic elements of cooking (fire, water, air and earth) into action. In his book Cooked, Pollen brings excitement back into the kitchen and helps us understand the basics of eating. According to Pollen "taking back control of cooking may be the single most important step anyone can take to help make our food system healthier and more sustainable". 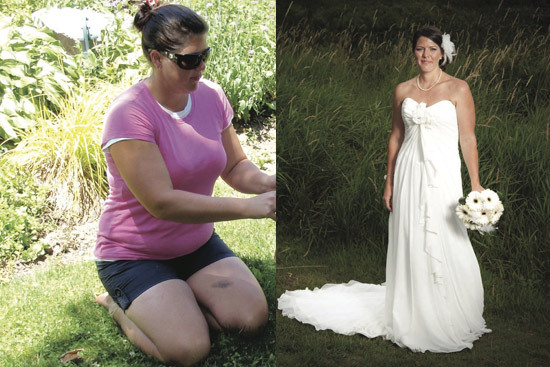 "As a result of the program, my blood pressure went down and so have my triglyceride levels. My sleep has improved, I find it easier to exercise - overall I feel like a different person! This is an easy plan to follow and I have not felt hungry. Even my snoring has improved... says my wife." Do you want results like these? 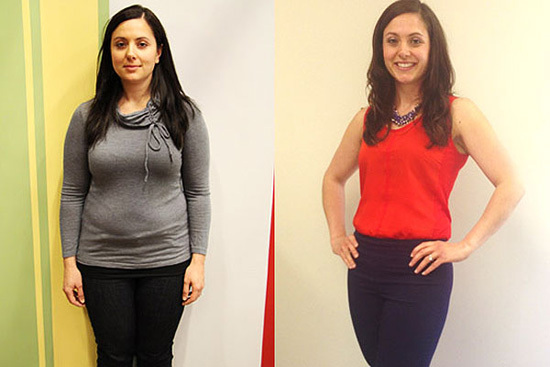 If so, simply e-mail us for a free initial assessment at inquiries@shulmanweightloss.com or call 905.889.5326. We now have clinics in Thornhill, downtown Toronto and London!